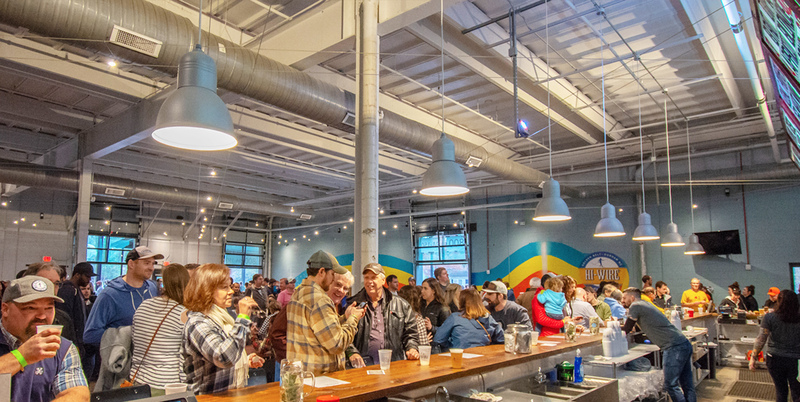 We’re excited to announce that the #ELGL19 conference mixer will be powered by PublicInput.com at Hi-Wire Brewing in Durham, NC. The event is on Thursday, May 16, 2019 from 6:00 – 8:00 at the Golden Belt brewery location (800 Taylor St, #9-150, Durham, NC). This hosted event is included in your #ELGL19 ticket price (register today! ), and will include activities to allow you the chance to get to know your fellow conference attendees, eat some delicious food, and sample local beverages. We’ll also engage with PublicInput.com during #ELGL19 to learn more about conference attendees, and find ways to connect our local government interste areas during and after the conference! We’re a team of planners, engineers, communicators, geeks, and artists focused on building a better interface for people and local government. PublicInput.com was founded in 2014 by a group of transportation engineers and planners. After seeing first-hand the problems of the public engagement status-quo, they set out to build a community engagement toolkit that could reach more voices and make it easier to understand the needs of communities. We believe that when public engagement is less costly, less painful, and more representative of community needs, it becomes a powerful tool for creating better policy. How is this possible? By pairing innovative software with a process that encourages public involvement every step of the way. Our journey began in the summer of 2013 in the heart of Asheville, NC’s South Slope Brewery District. With the 2015 opening of their Big Top Production Brewery up the road, the next next goal was to bring a bring a physical location to Durham, NC. The new taproom consists of 8,844 square feet of interior space, as well as a 1,678 square foot outdoor covered patio and beer garden. The space is game and activity heavy, featuring full-sized shuffleboard courts, soccer pool tables, table tennis, and more. The bar’s 24 taps feature ours full line-up of beers, including year-round, seasonal, specialty, sour, and one-offs, as well as wine, local cider, and guest taps from neighboring breweries. The Golden Belt taproom is family friendly for a majority of our business hours with a 21+ age limit after 8pm.